For such a small island, Iceland is packed to the gills with cool adventure sports and cool things to do. Plus, most of the activities available can be done any time of year, though some are best suited for Summer versus Winter (and vice versa). 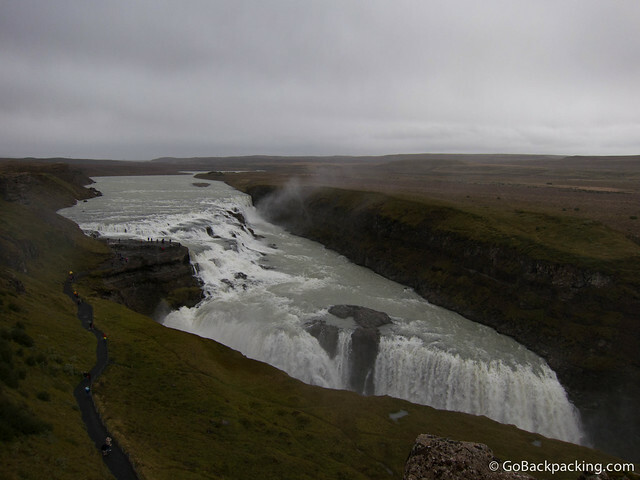 This list is simply meant to be a starting point for your exploration of Iceland. Most of the suggestions below are ideal for people on a tight schedule, such as those visiting for two to three days while en route somewhere else. Heading to Iceland? Book your hostel here! 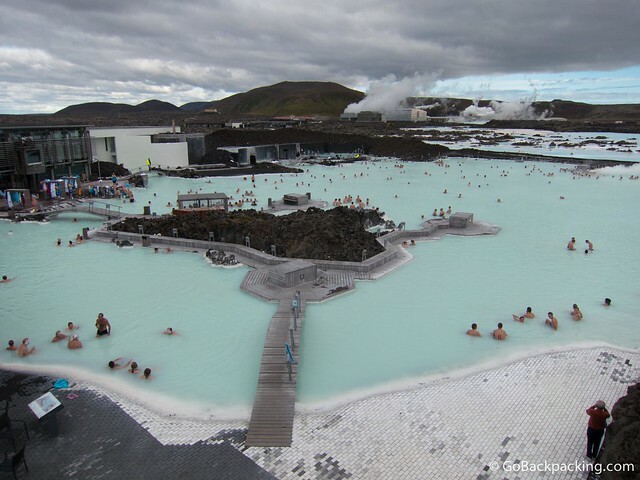 A visit to The Blue Lagoon is the number one recommendation for visitors to Iceland. It's so popular, you can schedule a stop en route to/from the international airport. The water has a blueish appearance, and a milky consistency. It's heated from the leftover geothermal energy produced by the nearby plant (seen in the background of the photo above). The lagoon features a swim-up bar serving smoothies and beers, and there are several buckets of mud around the perimeter, which can be used to give yourself a moisturizing facial. Without a doubt, the second most popular activity is a bus trip around The Golden Circle. The full day trip includes a few additional stops, such as a volcanic crater, Faxi waterfall, and a geothermal power plant. Want to bundle all these tours + some meals and accommodation? Book this trip! Given Iceland's close proximity to the Arctic Circle, it offers excellent whale watching opportunities. The season runs from May to September, though your odds of spotting whales are best from June to August. 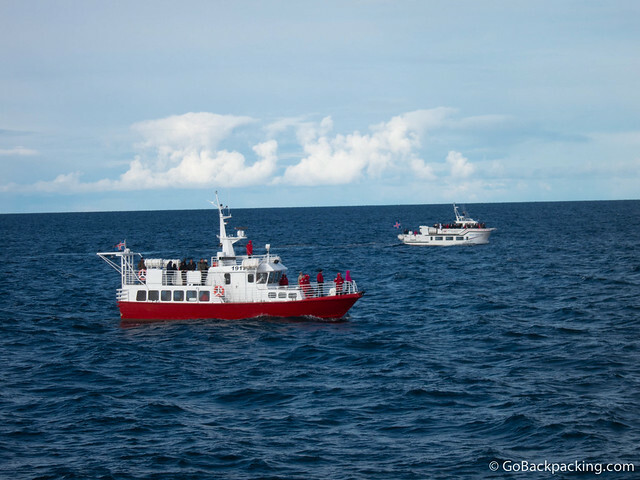 Of the 23 species of whale that can be seen, the most commonly spotted are Minke and Humpback whales. Occasionally, Blue whales (the largest speciest), and Orcas (Killer Whales) are seen too. White-Beaked Dolphins and Harbour Porpoises are also found in the waters around Iceland. The northern lights are visible on clear nights from October to April, though it's possible they can arrive early in any given year, as was the case during my visit in mid-September (2012). 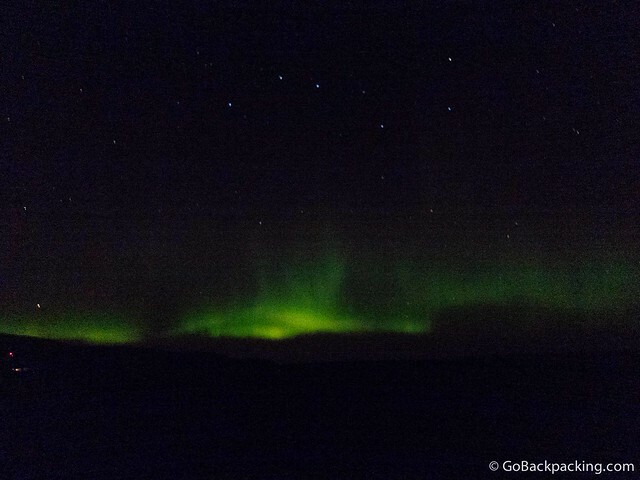 Booking a bus tour to escape the light pollution of Reykjavik is one of the cheapest, most popular activities to do in Iceland. Depending on the time of year, the buses leave at either 9 pm or 10 pm, and return guests to their hostels and hotels by 1:30 am. The northern lights are most likely to appear around midnight, and waiting for them (while standing in the bitter cold) requires a good dose of patience. But the results are worth it. For crisp, clear photos, you'll need a DSLR and tripod. The genetic makeup of Icelandic horses has remained virtually unchanged for over 1,000 years. While some 30,000 horses have left the country over the years, there's a rule that ensures none are allowed to return. Nor are other breeds allowed to be brought over. 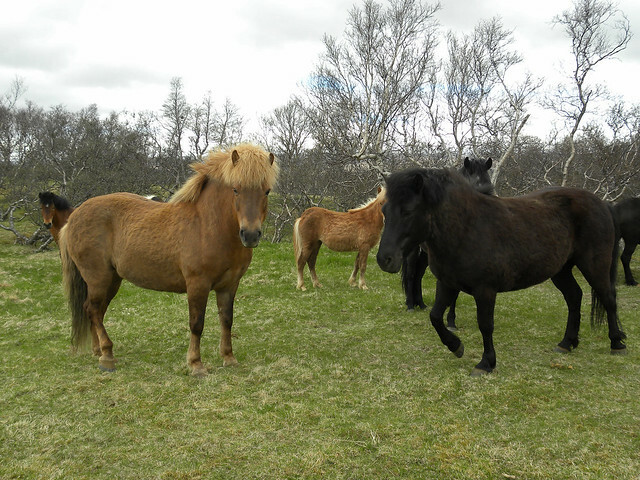 This policy has ensured the Icelandic breed of horse has remained pure over the centuries. There are currently 80,000 horses in Iceland. The horses are more akin to a smaller pony in size, and are known for their extra gait, called the tölt, which comes after canter/gallop. Glaciers currently cover 10% of Iceland, yet at the rate they're melting, the country could be glacier-free by the end of the century. 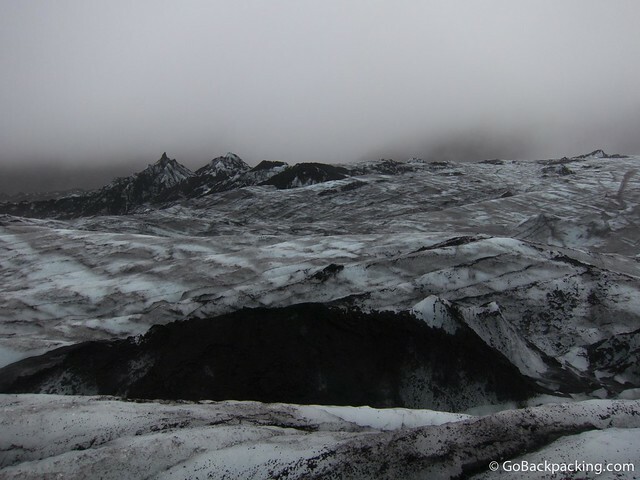 Sólheimajökull Glacier on the South coast is the easiest and cheapest glacier to access. Day trips can be organized from several companies in Reykjavik, including Arctic Adventure, and may include a chance to try ice climbing, as well as a stop at Skógafoss waterfall on the way back. Further East along the Southern coast is Europe's largest glacier, Virkisjökull Glacier. Day trips can also be organized to this one, as well as several others. If you don't mind donning a dry suit and braving extremely cold waters, you can snorkel or dive in one of the top spots in the world. 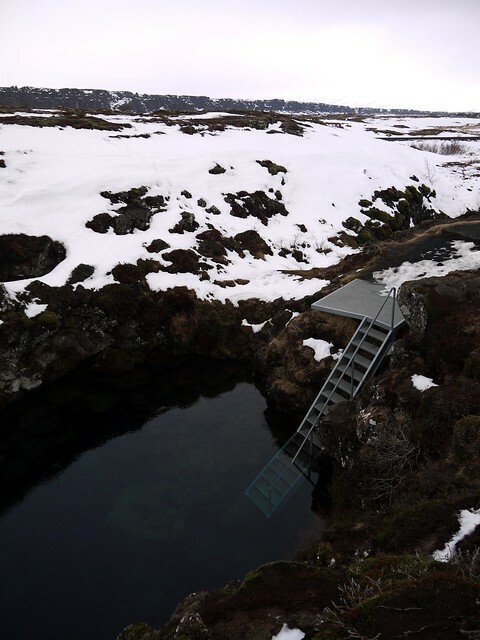 Silfra is located on Thingvellir Lake, and offers visitors water with unparalleled clarity. On a good day you can see 100 meters (300 feet) deep! The awesome visibility is due to the cold glacial waters. While there aren't a lot of fish to see, there is some interesting algae. Due to the clarity of the water, snorkelers will see the same things as the divers, so whichever you do is a matter of preference. 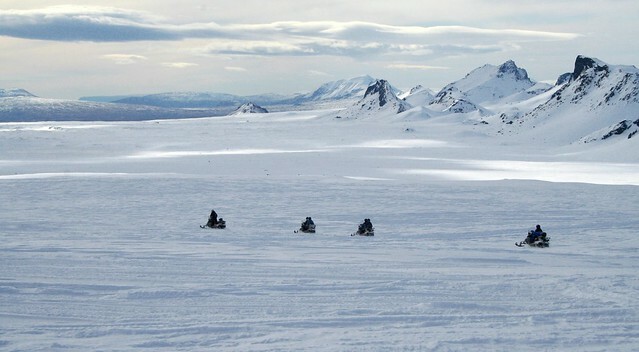 Iceland, especially in Winter, offers visitors the chance to try their hand at snowmobiling across glaciers. This adventure sport falls on the higher end of the cost spectrum, however quite a few tours offer a short snowmobile ride as part of the overall day trip. It's the perfect option for beginners, or those who want to up their adrenaline quotient. If snowmobiling isn't your thing, or you want to ride across the Icelandic beaches and glaciers in style, you can opt for a super jeep tour. Again, these aren't cheap (often running $200 – $300 for a day trip), but how often do you get the chance to ride in your own mini-monster truck? 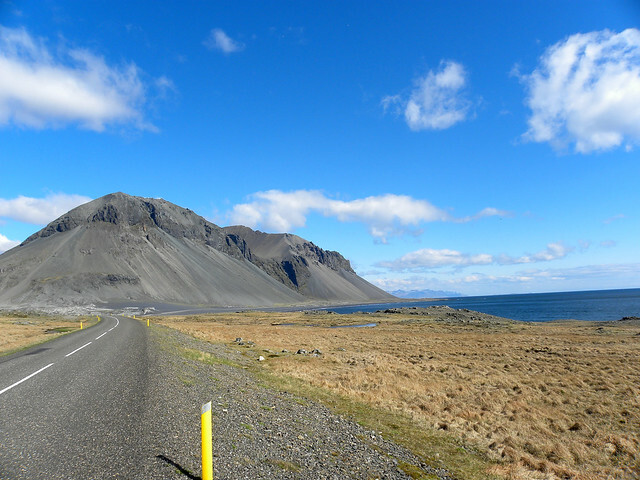 The Ring Road is the highway running around the coast of Iceland. It takes about one week to make the trip at a casual pace, and the highway is closed in Winter due to the heavy snow that besets the country. 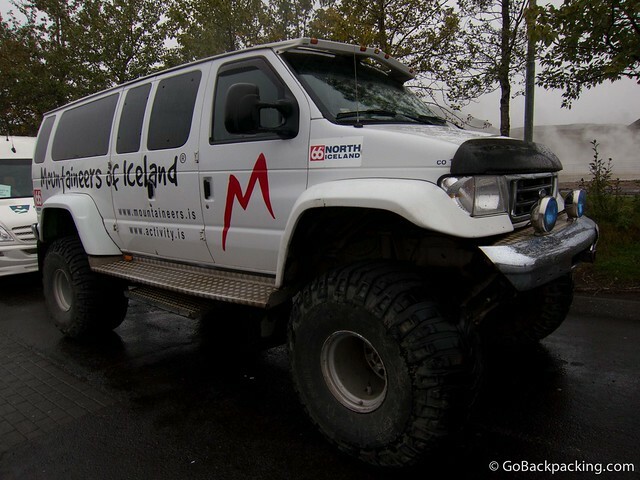 Cars, jeeps, and super jeeps can be rented in Reykjavik, but be prepared for high prices. An SUV can cost 100 Euro per day, and that doesn't include gas, which is expensive, and the costs of food and lodging (which can both be higher than within the capital city). This is one adventure best shared with a partner, or group of friends.